When you think of portion control, what do you think of? If you’re anything like many of my clients, portion control equals boring and restricting. No one wants to think about it, much less do it. You don’t get the obvious payback of great exercise session or the flashiness of a fad diet that promises you’ll lose X pounds per week. Portion control is about measurement, consistency and routine, which admittedly is not terribly exciting. However, those skills and habits I just mentioned are some of the most important tools you will need to lose weight and keep it off permanently. Find out why portion control is critical to successful weight loss and maintenance and learn easy strategies to implement portion control into your everyday routine. Do you find it hard to judge serving sizes just by looking at them? Most people do. Research shows that larger servings encourage us not only to eat more but also to underestimate how much we eat. This makes losing weight even harder than it already is. Knowledge is power (Spiritual Principle #3)! The more you know and understand, the better equipped you are to make the right decisions for your health. Most weight loss programs will give you weekly meal plans, which is helpful for a lot of folks who aren’t sure where to begin on a food plan. But when a weight loss program ends, what do you do? If you learn portion control, you have the freedom to expand your food choices to a variety of foods. The fact is that weight loss and weight maintenance are impossible without portion control; you will always be working for the right balance between calories in and calories out. Portion control is key, no matter what diet plan you follow. Read nutrition labels – Become familiar with the Nutrition Facts panel on food packages. It is your guide to understanding serving sizes. It will tell you how many grams/cups/teaspoons, etc. are in a serving, how many calories, how much fat, and much more! The American Heart Association has an easy to understand guide on understanding nutrition labels here. 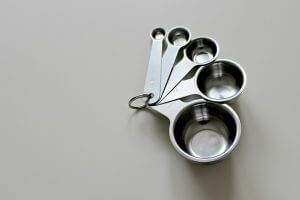 Use measuring cups – If you don’t already have them, find a set of measuring cups that you like using and that are easy to clean. Look at the nutrition labels on food packages and measure your foods to make sure you’re having the right serving size for your calorie budget (check out the Calorie Calculator on the right of my website to figure out your calorie needs). Weigh your food – You can also use a food scale to measure serving sizes. You don’t need an expensive food scale with lots of features – as long as the scale is easy to use and works for you, it should work just fine. Downsize your dishes – Be on the lookout for smaller dishes and bowls to use at home. Research has found that we unconsciously serve and eat more food when we use larger dishes. Pack single-serving snacks – Make your own single serving snacks ahead of time using Tupperware or Ziploc bags. You’ll be less likely to overeat if you have healthy snacks that are portioned and ready to go. Divide your plate – When you eat at a restaurant or get take-out, portion out half of your plate to eat then and reserve the rest to enjoy later. Some restaurants will even divide and package your to-go half for you. I hope you found this information helpful and that you can use it to establish healthy habits that last! 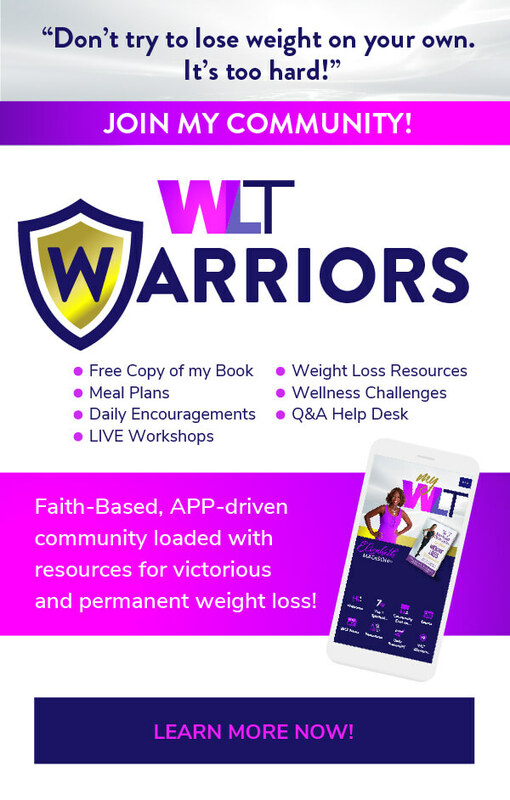 Filed Under: Nutrition & Wellness Newsletter, The Weight Loss Word, Weight Loss Transformation Blog, Weight Loss Transformation!